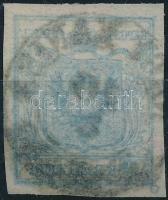 1 | Philately / The 1850 issue | Items | Darabanth Co., Ltd.
3kr pair HP III. 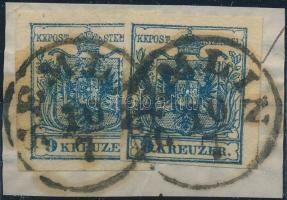 with paper crease "MISKOLCZ"
Description: 3kr pair HP III. 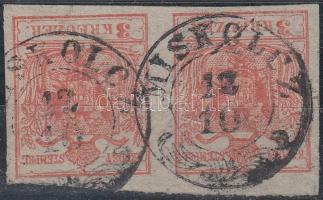 with paper crease "MISKOLCZ"
3kr vertical pair HP III with large margins, small paper creases SZOLNOK"
Description: 3kr vertical pair HP III with large margins, small paper creases SZOLNOK"
3kr HP I with plate variety "(TEM)ESVÁR"
Description: 3kr HP I with plate variety "(TEM)ESVÁR"
3kr HP III with paper creases, watermark "AGRAM"
Description: 3kr HP III with paper creases, watermark "AGRAM"
9kr pair HP III. 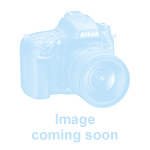 "SEMLIN"
Description: 9kr pair HP III. 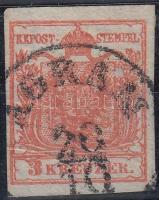 "SEMLIN"
9kr HP III. 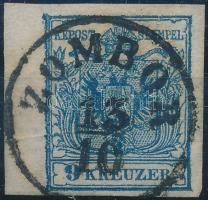 with nice / large margins, small paper crease "ZOMBOR"
Description: 9kr HP III. 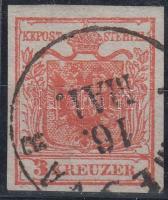 with nice / large margins, small paper crease "ZOMBOR"
9kr HP II. 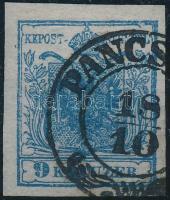 with nice margins "PANCSOVA"
Description: 9kr HP II. 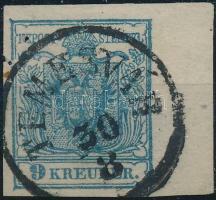 with nice margins "PANCSOVA"
9kr HP II. 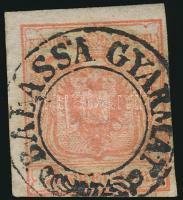 szép szélekkel, gépszínátnyomattal "NAGY KANISA"
Description: 9kr HP II. szép szélekkel, gépszínátnyomattal "NAGY KANISA"